The Very Hungry Caterpillar is full of useful vocabulary for children – days of the week, food names, numbers… Children can use this vocabulary to create their own stories – for instance, “What I ate this week” (“On Monday, I ate fried rice. On Tuesday, I ate chicken.”), making it nice and personal to them. 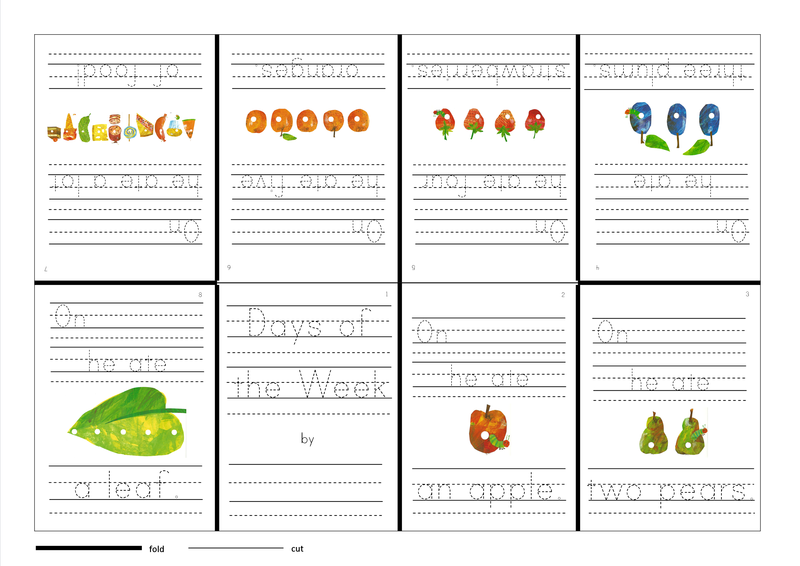 But to begin with, they can trace over the words, fill in gaps, or repeat phrases in mini books, allowing them to become more familiar with the vocabulary before they produce it themselves. 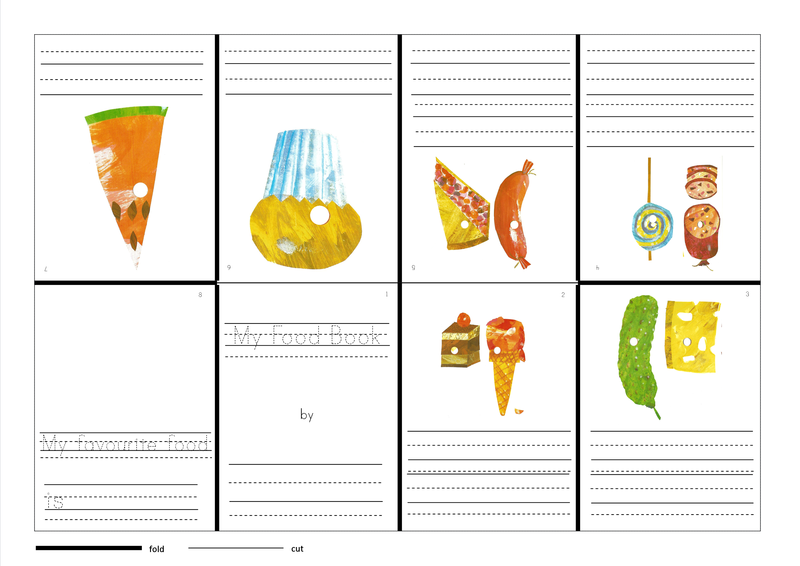 Update: You can download a PDF of all the mini books here – updated to have just three penmanship lines, instead of four as in the mini books below. 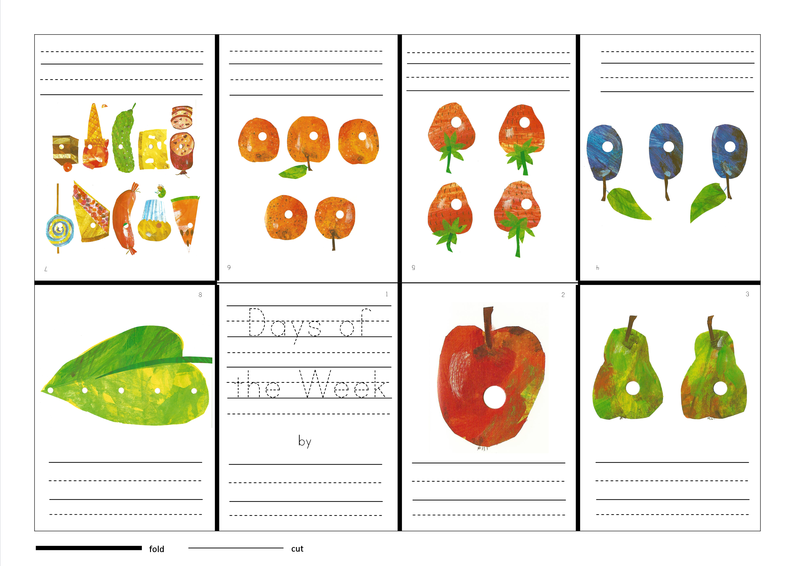 This entry was posted in Penmanship, Writing resources and tagged Eric Carle, food, fruit, minibook, penmanship, storytelling, writing skills. Bookmark the permalink. « What do you like to do? I would love to use one of your mini-books. How do I print it in 8.5 by 11 format? Hi Belinda! You should be able to do this through your printer preferences. When you press print, make sure that the paper size is set to 8.5×11, and set it to “Fit” – this should automatically resize the page so that it fits your paper. 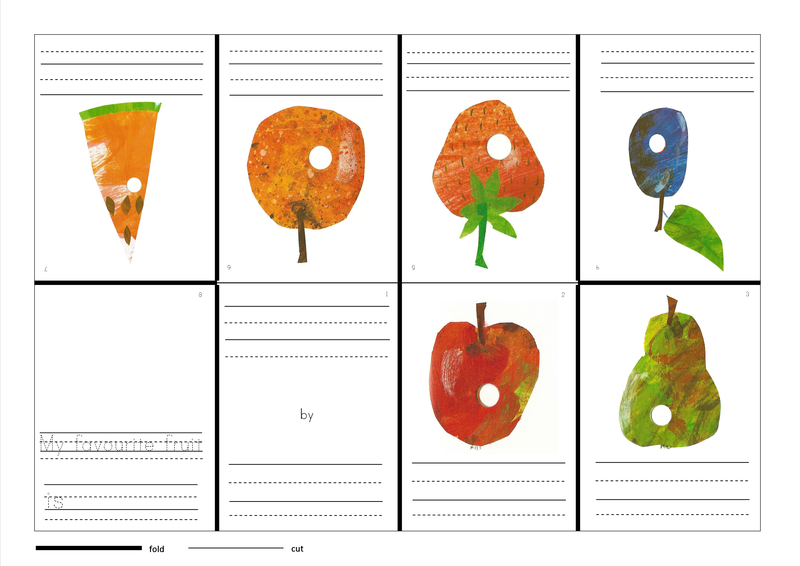 Alternatively, if you let me know which minibooks you want to use, I will try to get a PDF done for you. Thank you. I have tried on a couple of computers and printers without success. 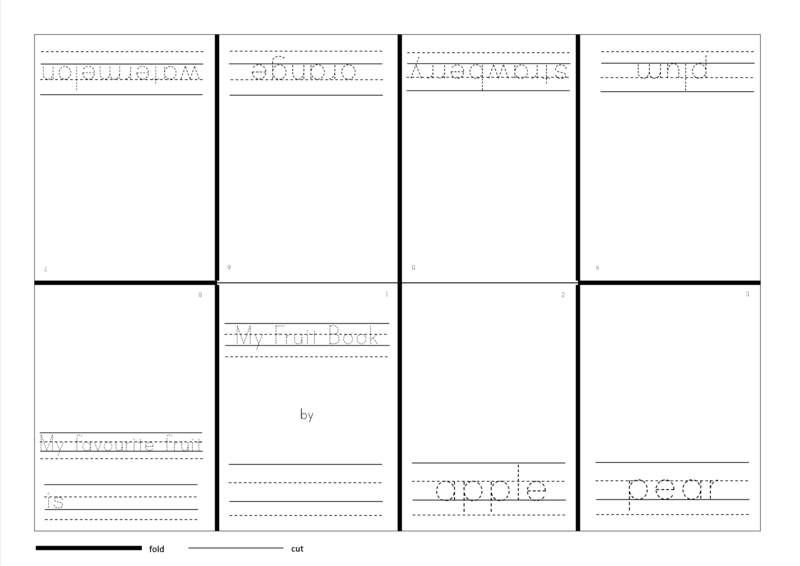 I would love to use Minibook 3. No problem, Belinda – I have uploaded a PDF of all the mini books in the 8.5″ x 11″ format above. Let me know how it goes! Thank you so much. You have been very helpful. I love your mini-books! I am currently working as a teacher mentor on a participatory project in Malaysian Borneo. I work together with Malaysian English teachers to develop their English proficiency and teaching skills, and feel like I've just got the best job in the world! This is a site to share resources I make to use with English language learners, mostly early primary schoolchildren. An awesome cause for an awesome people.